Are you homeless or facing homelessness? Links and contact information to assist you. Sponsored by The New Hampshire Coalition To End Homelessness, Home4Hope will connect families, providers, and communities with support resources available in NH. Enter your ZIP code and the database will provide resources to assist with housing, food, legal help, and more. 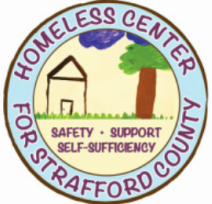 A non-profit organization that provides the most comprehensive resources for homeless people in New Hampshire. 211 New Hampshire connects callers, at no cost, to information about critical health and human services available in their community. Residents in New Hampshire can dial toll-free 211 in-state, or 1-866-444-4211 from out of state. Visit the 211 New Hampshire website to search their online database, which contains information on over 1,800 health and human service providers and 4,500 service locations.